I want you to consider any research articles you have read lately, – whether it was on climate change (I hope it was), on how Facebook might be making us depressed, or on why people wear makeup (surprisingly interesting) – whatever it was, consider how much of the paper was based off quantitative research and heavily relied on charts and graphs. Now, consider how much of the research involved collaborative ethnography. ‘Never heard of it,’ you say? Not for long. Collaborative ethnography is research that involves both the researchers and the collaborators partaking in constant mutual and collaborative engagement throughout the entirety of the study. This yields a greater and more involved relationship between the researcher and the people being researched; collaborators are not only part of the research, but they also receive something in reciprocal for the study. The result is a study that is co-written by local communities of collaborators which considers multiple audiences outside the confines of academic discourse; in this way, it often surfaces more accurate findings of social environments and a deeper and more contextualised understanding of relevant issues. A relatively simple example of collaborative research can be seen in my previous post where I interviewed my mum about her experiences of television growing up. This study was collaborative in a number of ways: importantly, the interview acted as a reciprocal experience as my mum was glad to be able to help me out in any university work, and because she also got to share some pretty special childhood memories with me. Acting as a sort of reminiscing conversation, the conversation allowed me to hear about my grandma’s everyday life, something I had no idea about as she sadly passed away when my mum was very young. Additionally, each student studying BCM240 also interviewed someone about their television memories, and so all of these experiences can be pooled together to collect emerging themes and question — a perfect example of collaboration at a very deep level. If this research was conducted quantitatively, it would’ve been very difficult to conduce results that involved so much of the emotional responses that came out of many interviews. Don’t get me wrong, I am a huge fan of quantitative research (gotta love a good fun fact statistic) and I am certain that quantitative data could add depth to a lot of these television research reports, (data like how many people owned a TV, how often they watched it and so on) but collaborative ethnography has the ability to fill the gaps that quantitative research simply can’t and so I believe individual stories of media space experience really should matter to commercial researchers. I want to start with the daily routine of many. Think about it — you wake up, eat breakfast whilst possibly reading the paper or watching the morning news. You then jump in the car and listen to the radio where the news is broadcasted every hour. You get to work or school and you talk about what’s happening in the world. Then, after a long day, you go home, kick back and once again get news thrown at you by the TV or internet. Every day, media corporations open fire and bombard you with controlled messages. But does it matter who is in control of this media? I sure think so. 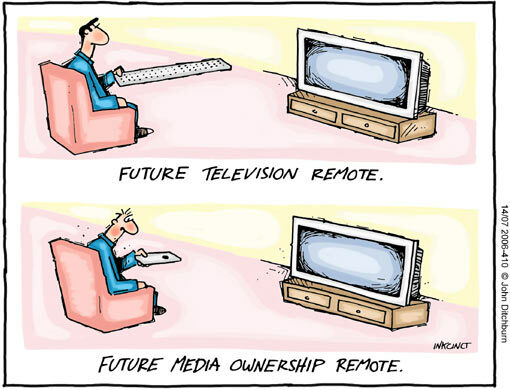 Within Australia, media ownership is dominated by a handful of very powerful people; our media ownership diversity is so poor, that we are ranked 26th in the world according to the 2014 Press Freedom Index. 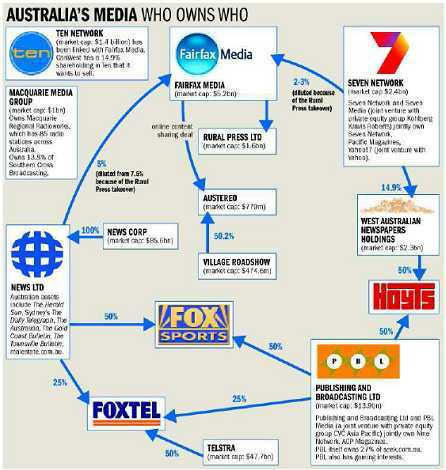 Fairfax Media and News Corp are the two most dominant media moguls in Australia and therefore hold a huge amount of influence over the information we receive. Our societies ideology of the media is that we are seeing all sides of a story. However, with news organisations owning and controlling multiple channels of communication, diversity is extremely diminished. One corporation’s view on a story is pushed across all news sources that the corporation owns. A story that may be told on one channel is likely to be told over multiple channels. This pushes the agenda and ideologies of the owners of that corporation and as the audience, we are subjected to bias, both on purpose and accidentally. For example, if Gina Rinehart, Fairfax’s largest shareholder, was to receive her request of 3 board seats and a say in editorial decisions, it would destroy the last major newspapers that have a slightly different perspective to the Murdoch Press (News Corp) by offering reduced, limited information with narrow boundaries, all based around Rinehart’s opinions which will further her business interests. This is why I think media ownership is so important, we need a wider range of corporations to offer differing opinions and views on current events and not just a singular view held by a handful of corporations. Just for a bit of novelty – one interpretation of Australian media (warning, very course language). Enjoy! Turnbull, S. 2014, ‘Media Mythbusting: Information Just Wants to Be Free Week 4′, lecture, BCM110, University of Wollongong, delivered 25 March 2014. 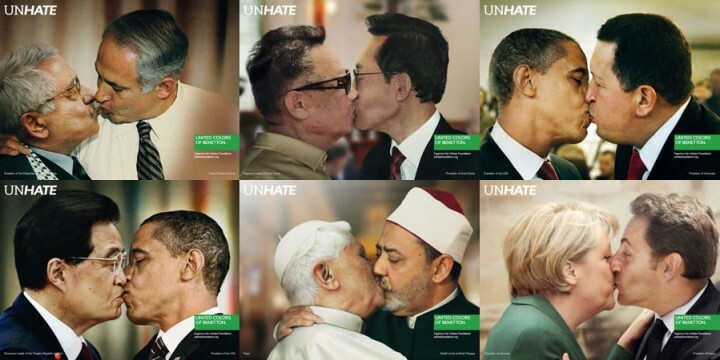 Benetton, an Italian based global fashion brand, launched their ‘Unhate’ campaign with the aim of fostering tolerance and ‘global love’. Benetton claims it is inviting “the leaders and citizens of the world to combat the culture of hatred”. The images operate as a sign of reconciliation, with constructive provocation used as the basis of the power these images hold. The digitally altered images, on first glance, simply feature people kissing with the denotation of love and acceptance. Without suitable context, the viewer may not be able to recognise the leaders in the photos and hence the full impact of the campaign would not be forced onto the viewer. But, the use of a variety of world leaders throughout the campaign branches a relatable point to people all over the world and thus the meaning is not lost on any viewer. Through this context and the featured ideologies within the images, further connotations are noticed in the images. The juxtaposition between the well-known opposing leaders as well as the emphasis created by featuring the people in the centre of the frame with an out-of-focus background, draws the eye straight to the locking of lips and has an immediate impact on the viewer… shock. Benetton argued for the campaign, “the images are very strong, but we have to send a strong message. We are not wanting to be disrespectful of the leaders… (we are) making a statement of brotherhood with a kiss.” Nevertheless, the campaign did offend a lot of people. 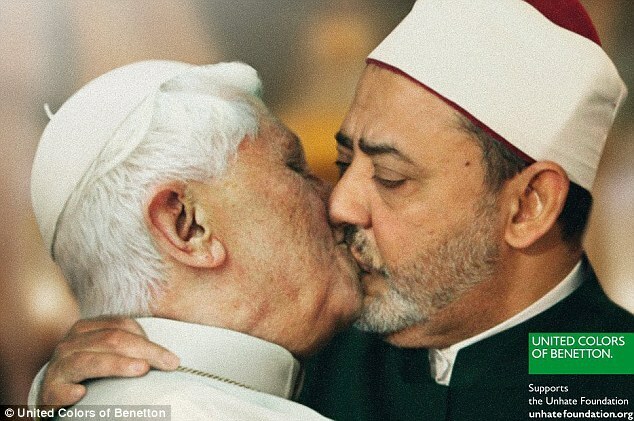 The image of president Barack Obama kissing Venezuelan President Hugo Chavez, was met with distaste as spokesman Eric Schultz explained, “the White House has a longstanding policy disapproving of the use of the president’s name and likeness for commercial purposes.” The image of the pope in a passionate embrace with a senior Egyptian imam was also met with hostility, with Vatican spokesman slamming the image as “entirely unacceptable” and portraying a “serious lack of respect for the pope”. After the controversy these images surfaced, the image of the pope was withdrawn from every publication. Regardless of the controversy the Benetton campaign provoked, the images undoubtedly still act as a powerful sign that has an effect on every viewer. The images’ shocking denotation and connotation are what makes the campaign so very forceful and compelling. Comment below your first reaction to the images seen in this campaign! Turnbull, S. 2014, ‘Media Mythbusting: The Image Cannot Lie Week 3’, lecture, BCM110, University of Wollongong, delivered 18 March 2014. It is a widespread belief that the media has forced teenagers to lose their social skills. But who’s responsible? Have texting, Facebook and the endless amount of other media platforms available today hypnotised our youth? Whilst social media has undoubtedly had a huge impact on us young people, the conclusion that the media is to blame for antisocial behaviour is not justified. In 2012-13, almost every household with children under 15 had access to the internet at home (96%). Internet activity was greatest amongst younger people with 15-17 year olds having the highest proportion of internet use (97%) and social networking was most preferred by 18-24 year olds (92%) (Australian Bureau of Statistics 2014). These statistics are confirmation of how our younger generations are excessively dependent on and involved with the media. But is this technology (that our seniors invented) the reason for us teens spending most of our time indoors and turning us into ‘zombies’? Or, is the lack of face-to-face socialising a result of strict parenting? Danah boyd (2014, p. 80) in her book It’s complicated – the social lives of networking teens, says that “teens aren’t addicted to social media … they’re addicted to each other.” She continues with, “they’re not allowed to hang out the way you and I did, so they’ve moved it online.” The onslaught of stories about child-abduction and sexual predators as well as increased competition to be successful has forced parents to schedule their child’s after-school life, leaving us teens with neither the time or freedom to hang out. 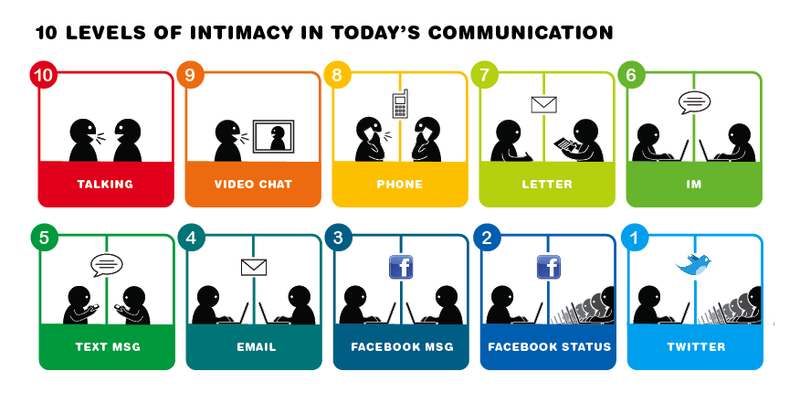 The shift to social media is our way to reach out and connect without having to meet in person. Long before the technology was available to do so, people were just as passionate about documenting their lives – take any piece of ancient writing for example, it was a method of self-expression and informing, much like social media is used today. 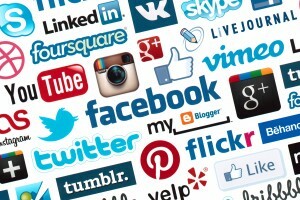 Social media is expanding teen’s connections to the world and the opportunities we are exposed to. So, the proposal that social media is in fact, antisocial media, is not justified. Yes, teens these days are spending a lot more time using technology, but this has not turned us into antisocial robots, it has instead allowed us to socialise with more people than ever thought possible. Australian Bureau of Statistics, 2014, Household Use of Information Technology, ABS, viewed 17 March 2014, <http://www.abs.gov.au/ausstats/abs@.nsf/Lookup/2B4C241B1D0D7691CA257C89000E3F61?opendocument>. Cahill, J. 2013, Constantly being in touch is so anti-social, Sydney Morning Herald, viewed 17 March 2014, <http://www.smh.com.au/comment/constantly-being-in-touch-is-so-antisocial-20130530-2neoa.html>. McKay, T. 2012, Anti-social kids in a social networking world, She Knows, viewed 17 March 2014, <http://www.sheknows.com/parenting/articles/954925/anti-social-kids-in-a-social-networking-world>. News Staff 2012, The Anti-Social Network?, Science 2.0, viewed 17 March 2014, <http://www.science20.com/news_articles/antisocial_network_facebook_making_young_people_feel_down_about_life-91318>. Stanley, T. 2013, Is the Facebook generation anti-social?, The Telegraph, viewed 17 March 2014, <http://www.telegraph.co.uk/technology/social-media/10084186/Is-the-Facebook-generation-anti-social.html>. The Australian Church Record, 2013, Social Media Watch, image, The Australian Church Record, viewed 17 March 2014,<http://www.australianchurchrecord.net/category/social-media-watch/>. Turnbull, S. 2014, ‘Media Mythbusting: Television Makes You Fat Week 2′, lecture, BCM110, University of Wollongong, delivered 11 March 2014.